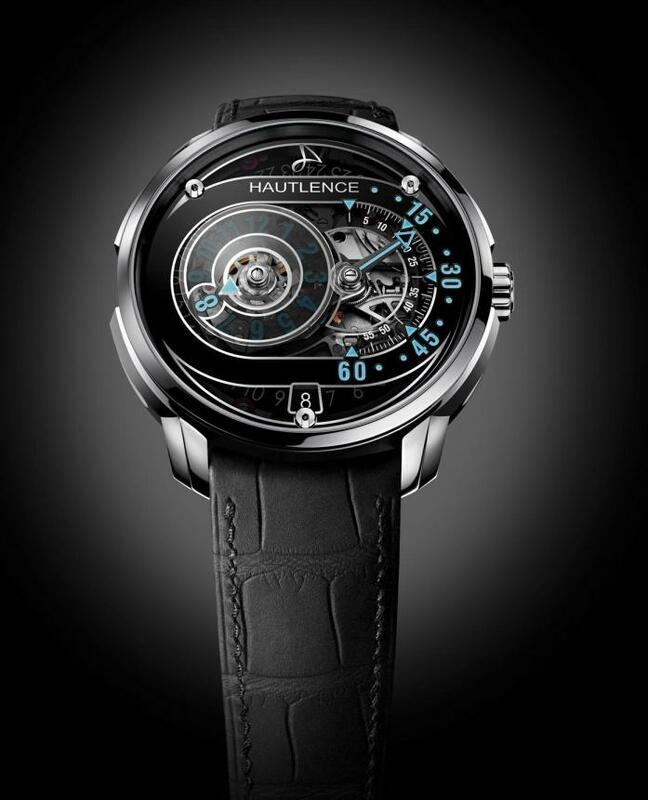 High-end Swiss watchmakers Hautlence – whose name is an anagram of the heart of Swiss watchmaking, Neuchatel – chose the Geneva Time Exhibition (GTE) last week to unveil the new HLRQ. It’s a more robust, athletic model than the original HLQ launched in 2009. It includes some of its predecessors' classic character with a bolder, more modern style typical of the AVANT-GARDE family which it joins as the latest addition. Launched in 2012, the AVANT-GARDE line is HAUTLENCE's ready-to-wear collection. The brand has created a stylish, powerful line taking inspiration primarily from the curves and aesthetic codes of avant-garde design. The first HLRS models, which were unveiled in October 2012, were an immediate commercial success. 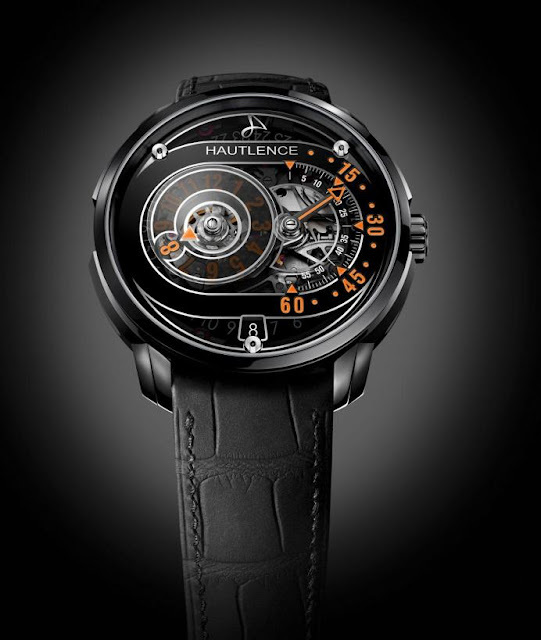 HAUTLENCE HLQ with a calendar, which was followed two years later by the more subtle HLQ Classic. Both versions bore all the brand's hallmarks; an in-house movement and a specific display of the time with jumping hours, retrograde minutes and instantaneous calendar. For 2013, the brand has reinterpreted the design cues of the earlier models in a dynamic way to produce a brand new version as part of the AVANT-GARDE family. Refreshed with a stylish contemporary appearance, the HLRQ features a 44mm case, made from steel with or without a black and titanium DLC coating, and with more imposing horns. The sapphire dial – designed by Hautlence – lends transparency and depth, revealing the in-house mechanical hand-wound movement with its jumping hours and retrograde minutes (thanks to the famous HAUTLENCE connecting rods system) and its calendar. The impression of weightlessness is further enhanced by the overlapping discs designed to create a stepped effect. AVANT-GARDE - HLRQ02 Case in steel and titanium, sapphire dial. Alligator strap with titanium folding or pin buckle. AVANT-GARDE - HLRQ03 Case in titanium and steel covered by black DLC, sapphire dial. Alligator strap with titanium folding or pin buckle. The watches will be priced at CHF33,000 to 35,000.